Skier Bruce Ruff takes advantage of a powder day at Arapahoe Basin on Tuesday, March 15. The local ski area reported 9 inches of fresh powder overnight Monday to Tuesday. A snowboarder tears through the reported 7 inches at Copper Mountain Resort on Tuesday, March 15. 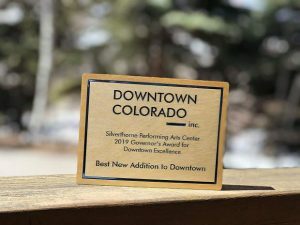 Colorado Ski Country USA, a trade association that represents 21 of the state's member resorts including Copper, released a report on Tuesday showing that skier visits have increased by almost 4 percent statewide from the previous season. Copper Mountain reported 7 inches of new snow for Tuesday, March 15, adding to its slightly below-average total for the 2015-16 season. The resort averages about 305 inches per year, but current stands at 196 this season. Both spring breakers and longtime locals took to the area slopes to enjoy the first major dumping of snow this March, which is typically the region's snowiest month. 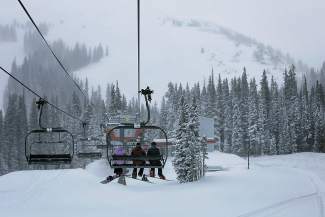 Copper Mountain Resort reported 7 inches Tuesday with the week's forecast suggesting more on the way. 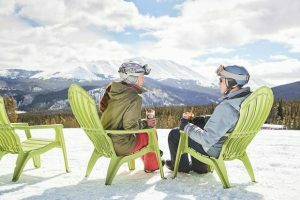 The Ides of March arrived to Summit County with a plonk of fresh snow, happily welcomed by both spring breakers and locals who hit the area slopes. 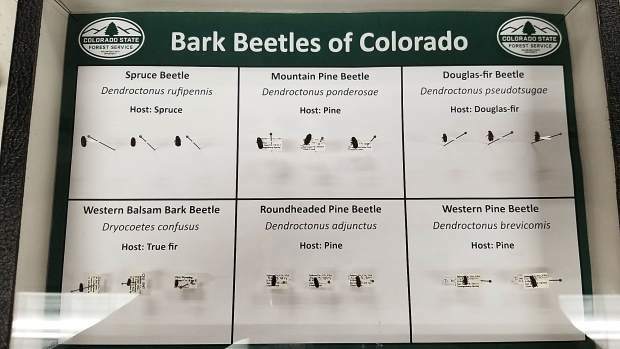 Almost every nearby resort received double-digit snowfall overnight Monday to Tuesday, with Breckenridge Ski Resort the lone holdout at a still healthy 9 inches. 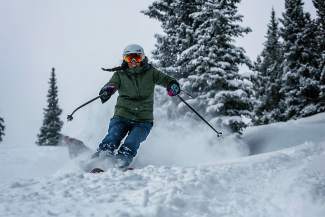 Keystone Resort reported 14 inches to top the state’s 24-hour totals, with both Copper Mountain Resort and Arapahoe Basin Ski Area approaching double their respective snow for the entire month of March to-date — 7 inches of new powder at the former and 10 inches at the latter. March is historically the region’s snowiest month, but that’s been far from the case so far this year. 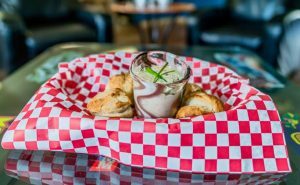 Resorts had barely eclipsed double digits during the month’s first two weeks before this latest storm, and most were behind their annual averages even with its emergence. 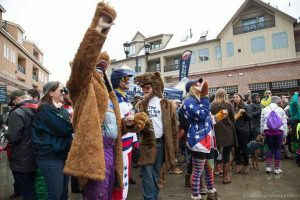 Even so, trade association Colorado Ski Country USA (CSCUSA) announced on Tuesday that its 21 member resorts statewide, which do not include the four Vail Resorts, Inc. locations, saw skier visits through February rise by almost 4 percent from the previous season. Still, A-Basin, which routinely stays open into June — the latest of the area’s ski hills — averages 350 inches per season, but currently stands at 191 inches. Copper is also presently off the pace of hitting its expected total of 305 inches before anticipated closure on April 17, now reporting 196 inches on the 2015-16 season. More snow may also be on the way. Forecasts for the county for Tuesday evening into Wednesday called for between 4 and 9 inches depending on the locale. Daily incremental snowfall is expected throughout the rest of the week as well to bolster some of the overall accumulation. The initial storm had no impact on the Summit School District, with all buses and schedules running on time Tuesday morning, and with no after-school activity cancellations, either. A spokeswoman said the district will keep a close eye on the weather Wednesday morning for any potential delays and cancellations. There were, however, closures to some of the High Country’s major roadways, with the Colorado Department of Transportation (CDOT) shutting down Loveland Pass along U.S. Highway 6 overnight for avalanche mitigation at about 10 p.m. Monday night and not re-opening until Tuesday afternoon. Also closed Monday night for approximately three hours were both eastbound Interstate 70 at mile marker 147 near Eagle and U.S. Highway 24 between Minturn and Redcliff, due to multiple accidents. CDOT had crews mobilized in preparation of the storm, but the wet and heavy, low-visibility storm moved quickly and caught several commuters unprepared. This resulted in a number of spinouts due to a lack of traction on the road. The sudden and hefty storms just as the spring equinox approaches on Saturday, March 19, at 10:30 p.m., also bring with them increased avalanche danger for those looking to take advantage of the expansive backcountry. 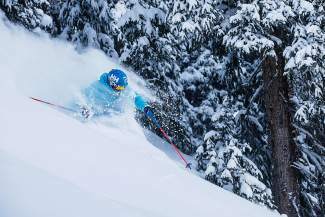 The Vail-Summit County area saw one observed slide of unplanned origin on both Monday and Tuesday, and the Colorado Avalanche Information Center (CAIC) issued a 36-hour special avalanche advisory at 6 a.m. on Tuesday running through Wednesday at 6 p.m.
With more snow likely in route for Summit County, even as the calendar soon shifts to spring, the prospects for avalanches will remain steady, just the same as lift lines on the area’s groomed peaks.